Jealous ... very nice Alf. Have to say we are always unlucky down south when it comes to stuff like this, the last sun eclipse was clouded over as well. You're right - we just had an overall dullness didn't we? 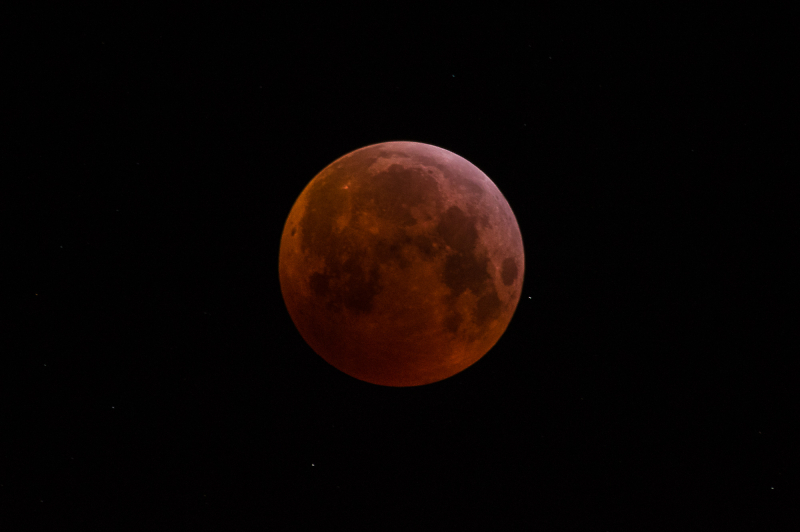 And the last lunar eclipse, last year sometime was a no-show down here as well! Poked my head out at 4.30 and just misty, no sign of moon or stars. Oddly pinkish glow to the mist though, I just wish I could have been somewhere more picturesque to exploit it, and not stood in my jammies getting frostbite! For the one in July we went and sat on the Afsluitdijk so we could see the mon rise. Low cloud blocked that but once it got above the cloud it was good, especially with Mars so close to it. It was warm, but windy that night. Last night it was wind still and as clear as can be, but too blinking cold to be out taking photos. No dedication I know. One of my sons had to be at the airport early this morning and took some photos with his phone, and my 9 year old grandson set his alarm so he could see it! His Mum also took a photo with her phone before cycling to work at silly o'clock. A few years to wait for the next one. Not sure I'll be around for it. That is a pretty decent shot. What sensitivity? ISO 800, so noisy on a K3ii. 1 second exposure. I wasn't sure how long the shutter could be open before I got motion blur so I used higher ISO to keep the shutter speed short.